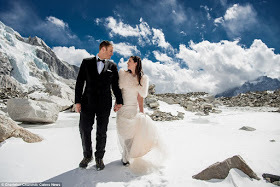 snow to tie the knot on Mount Everest. to document the incredible journey. 0 Response to "Wow! 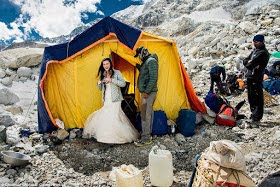 Couple Weds On The World's Tallest Mountain,Mount Everest (Photos)"